Analysis: Conley did set a career high in touchdowns in 2018, but that was essentially the only area in which the fourth-year receiver was able to capitalize during Sammy Watkins' six-game absence towards the end of the regular season. Known more for his lanky figure (6-foot-3) and tantalizing intangibles (4.34 40-yard dash) than actual production on the field, the toolsy receiver will likely compete with 2018 second-round pick D.J. 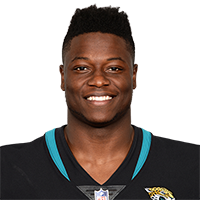 Chark and Keelan Cole for the No. 3 job entering training camp. Analysis: Conley completed his 2018 regular season with just 32 total grabs on 52 targets for 334 yards and five touchdowns. While the five scores mark a career high, the four-year receiver saw declining outputs in both receptions and receiving yards from his last full campaign in 2016. 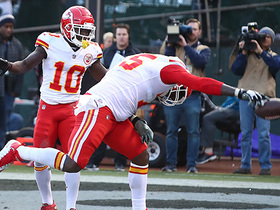 With Sammy Watkins, Tyreek Hill and Travis Kelce all ranking above him in the pecking order for targets and set to return in 2019, it's unclear whether Conley, an impending free agent, will sport Chiefs colors next season. Conley is expected to be a fixture in both two- and three-receiver formations Sunday against the Raiders with the Chiefs ruling out Sammy Watkins (foot) for the contest, Pete Sweeney of ArrowheadPride.com reports. 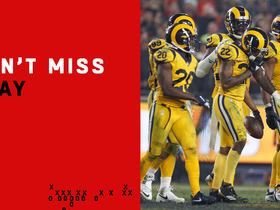 Conley caught seven of eight targets for 74 yards and two touchdowns in Monday night's 54-51 loss to the Rams. Conley managed just one catch for 22 yards in Sunday's game against the Cardinals. Analysis: Conley received two targets on the day despite seeing 54 snaps in the contest, which was second to his 73 snaps in Week 4 against the Broncos. Even if Sammy Watkins (foot) is unable to retake the field Monday against the Rams, it likely won't result in a major stats boost for Conley, given the number of preferable options to whom to throw. Conley will join Tyreek Hill in the starting lineup at wide receiver Sunday against the Cardinals with Sammy Watkins (foot) inactive for the contest, Nate Taylor of The Athletic reports. Conley hauled in one pass for 23 yards on two targets Sunday against the Browns. Analysis: Conley played the majority of offensive snaps (54 percent) in Sunday's contest, but it once again didn't mean that he would produce. With Sammy Watkins dealing with a foot flare-up, there's a chance that Conley's spot in the pecking order could bump up a spot next week. Conley did not receive a target against the Broncos on Sunday despite playing 52 percent of offensive snaps. Analysis: Conley continues to receive reps on game day, but he's not a major part of the team's game plan on a given week. With no more than four catches in a game this season and just three total targets in the last three weeks, Conley can be left on the waiver wire in the vast majority of leagues. Conley was the target of just one pass Sunday against the Bengals, recording the catch for six yards. Analysis: Despite seeing the field for 66 percent of the offensive snaps Sunday, Conley remains buried in the pecking order for the Chiefs as far as pass-catching options go. Barring an injury to others ahead of him on the depth chart, it's difficult to see him producing much even in one of the league's best offenses. Conley played 38 snaps in Sunday's game against the Patriots but turned in just one catch for 19 yards. Analysis: Regardless of how frequently Conley is on the field, he's buried in the pecking order for targets behind a score of talented pass catchers. Barring an injury, he's nothing more than a DFS fantasy dart in good matchups. Conley caught two of his five targets for 21 yards Sunday against the Jaguars. 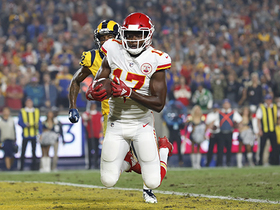 Analysis: Conley played the third-most snaps behind Tyreek Hill and Sammy Watkins on Sunday, taking the field on 61 percent of the offensive plays. Given his placement in the pecking order behind Hill, Watkins, Travis Kelce and Kareem Hunt, Conley is unlikely to see a ton of targets on a weekly basis. 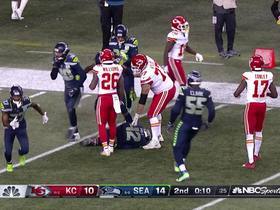 That could change slightly if one of the wideouts misses time. Conley hauled in four passes on six targets for 13 yards Monday against the Broncos. Analysis: Conley's role expanded after Sammy Watkins exited Monday with a hamstring injury, and he saw a corresponding increase with a season-high six targets and 73 offensive snaps as a result. While the four catches are encouraging, he still hasn't finished a game with more than 17 receiving yards this season. Depending on the severity of Watkins' injury, Conley could be in line for an expanded role next week against a stingy Jacksonville defense. Conley caught two of his three targets for 13 yards and a touchdown Sunday against the 49ers. Analysis: Conley has only been targeted six times through three games this season, but two of the six have come inside the 20, and both have resulted in touchdowns. Although he remains deep in the pecking order for targets, the Chiefs' explosive offense, combined with a struggling defensive 11, allows Conley to remain in play as an ultra-cheap daily option as a red-zone threat. Conley nabbed both of his targets for 17 yards and a touchdown Sunday in the Chiefs' 42-37 win over the Steelers. Conley caught his only target for 15 yards in Week 1 against the Chargers. Analysis: Although Conley played 35 snaps during Sunday's contest, he wasn't heavily involved in the game plan. 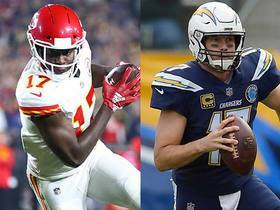 That will likely remain the case this season with Tyreek Hill, Travis Kelce, Sammy Watkins and Kareem Hunt all vying for looks in the passing game. Conley started Saturday's preseason game against Chicago and caught each of his three targets for 22 yards. 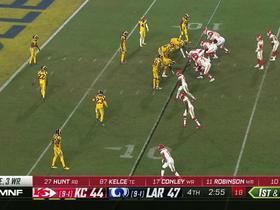 Analysis: The Chiefs opened in a three-wide formation with Conley, Tyreek Hill and Sammy Watkins on the field. 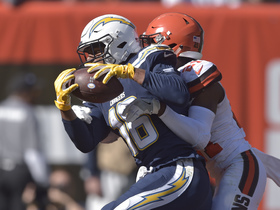 Meanwhile, fellow wideout Demarcus Robinson played into the fourth quarter, providing a strong hint that Conley has the No. 3 WR job locked down. Of course, the role doesn't figure to come with many targets in an offense featuring Hill, Watkins, Travis Kelce and Kareem Hunt. Conley took the field for only five offensive snaps in Thursday's preseason opener, failing to log a stat in the box score. Analysis: Given the severe nature of Conley's injury from a season ago -- a torn Achilles -- it wouldn't be surprising if the coaching staff decides to bring him back slowly. In the meantime, Demarcus Robinson has once again compiled an impressive camp and could challenge Conley for the No. 3 job. This rings especially true if the team wants to keep Sammy Watkins and Tyreek Hill on the outside, as Robinson better fits the mold of a slot receiver. Conley (Achilles) took part in some of the 11-on-11 team drills during minicamp, signaling that he's back to full health, the Chiefs' official site reports. Conley (Achilles) looked to be moving well and showed some burst during Thursday's OTA, Pete Sweeney of ArrowheadPride.com reports. 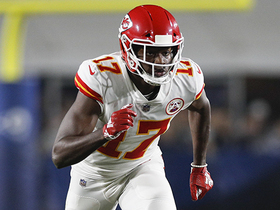 The Chiefs signed Sammy Watkins to replace Conley (Achilles) as the "X" receiver in their offense, Terez A. Paylor of the Kansas City Star reports. 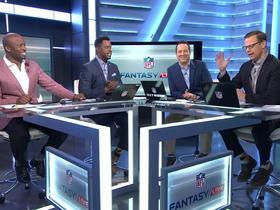 The "NFL Fantasy Live" crew offers up some bold predictions for the Week 15 matchup between the Kansas City Chiefs and the Los Angeles Chargers. 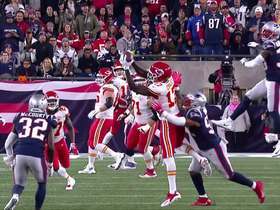 Kansas City Chiefs quarterback Patrick Mahomes makes an 8-yard touchdown pass to wide receiver Chris Conley.